I trace my ancestry and build my family tree, by studying the records of my ancestors in the archives of Germany and Russia. 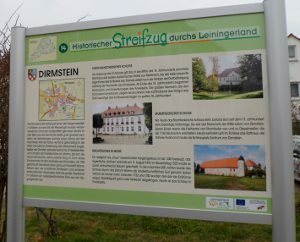 My ancestors: Sewald from Dirmstein, Pfalz, Germany. 1. Sebald (Sebold) Christophorus, (Imbst/Tyrol … – 1719, Dirmstein) – wife: Eretz Barbara (Diöz. Bamberg … – 1735, Dirmstein) – son: Sebald Carolus. 2. Sebald Carolus (22.04. 1716, Dirmstein — ? Sewald, Russia) – wife: Catharina Weingartin (16.10.1729, Dirmstein — ? Sewald, Russia). – son: Sebald Johann. 3. Sewald Johann (Johannes) (28.10. 1751, Dirmstein – 1804, Seelmann, Russia) – wife Foss Anna Margaretha (circa 1761, ? — ? Seelmann, Russia) – son: Sewald Karolus. 4. Sewald Karolus (circa 1784, Franzosen?, Russia — 1848, Seelmann, Russia) – wife: Bäumler Anna Maria (circa 1788 -? Seelmann, Russia) – daughter: Sewald Anna Maria. 5. Sewald Anna Maria (circa 1818 — ? Seelmann, Russia) – husband: Beil Christopher (1812 -?, Seelmann, Russia) – son: Beil Adam. 6. Beil Adam (1848 — after 1917, Seelmann, Russia) – wife: Weber Anna Margaretha (1850 – 1916, Seelmann, Russia) – son Beil Andreas. 7. Beil Andreas (1876 – 1923, Seelmann, Russia) – wife: Rau Elisabeth (1885 – 1933, Seelmann, Russia) – Beil Wilhelmina (1918, Seelmann, Russia - My mother). According to the census: in 1767 the family of Beil lived in Luis (Otrogovka); in 1798 in Franzosen (Rossoshi), their sirname at that time was written — Bill; then they moved back to Luis (Otrogovka). !n 1804 Peter Beil married Anna Margaretha Fashing and moved from Luis (Otrogovka) to Seelmann. Christophorus Sebald / Sebold and his wife Barbara Eretz had approximately 7 children. One of them was Carl / Carolus Sebald / Sewald, 22 april 1716. Carl / Carolus Sebald / Sewald, 22 april 1716 married Catharina Weingartin 27.05.1748 in Dirmstein. The parents of Catharina were Conradi Weingart and Anna Maria Roth from Dirmstein. They had daughters: Anna Barbara (1721), Anna Maria (1739) and two daughters with the same name of Catharina: Anna Catharina (1723 – 1725) and Catharina Elisabetha (16.10.1729). So, Carl's wife's full name was Catharina Elisabetha, and she was born in 1729. 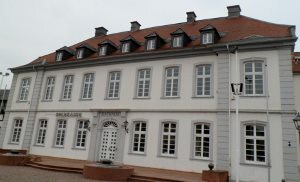 According to the birth records from archive in Speyer, Germany Carl / Carolus Sebald / Sewald, 22.05.1716 and Catharina Elisabetha Weingartin had the following children: Elisabeth (24.08.1749), Joannes (28.10.1751, my ancestor), Joés Adamus (24.04.1754), Catharina Elisabeth (1758), ... . Source: Igor Pleve, Lists of Colonists To Russia in 1766, Reports by Ivan Kuhlberg”. “31 July 1766. Colonists of Recruiter De Beuve and Precourt arrived from Luebeck by the Russia Pocket-boad under the command of Leuitenant Pyotr Malinkov. Seewald Carl, cath, farmer from Pfalz, doc. 2792, wife: Catharina, children: Johannes 17, Johann 10, Elisabeth 8, Magdalena 3”. (Comments: Johannes 17 – this is my ancestor), he was born 28.10.1751, Johann 10 (I haven’t found his birth in archive, but he died in April 1833 at the age of 75 in Kamenka, Russia (born circa 1756). Elisabeth 8 (24. 08.1758). I don’t see Elisabeth (born 1749) here, maybe she has married on the way to Russia and I don't see Joés Adam here either. Source: Igor Pleve «Einwanderung in das Wolgagebiet 1764—1767». Volume 4 page 168. Sewald, Carl, 48, kath. Ackerbauer aus Worms, Dirmstein. Frаu: Katharina 42, Kinder: Johann 17, Johann Philipp 12, Elisabeth 11. Their children Katharina (circa 1768) and Valentin (circa 1773) were born in Seewald (Werchovje) Russia. What is with the family of Sewald in Russia after 30 years, in 1798. Hölzel, 1798. (Hz 31). Heinrich Lehmann h 40 from Sewald; Elisabeth Sewald sp 40 from Sewald; Leonhard s 16; Valentin s 7; Wilhelm s 2; Anna Maria d 19. Franzosen, 1798 (Fz07). Philipp Sewald h 43 from Sewald; Barbara Kerelmain [?] sp 22 from Pfeifer; Franz s 15, son by his deceased wife; Simon s 14, son by his deceased wife, Jakob s 7, son by his deceased wife, Johannes s 2, son by his deceased wife, Christina d 19, daughter by his deceased wife; working in Kamenka; Magdalena d 12, daughter by his deceased wife. Seewald, 1798 (Sd 08). Sewald Katharina h 61, widow; deceased husband: Karl Sewald; Katharina d 30; Johannes Hergenräder sl 38, Valentin gs 5, Apollonia gd 13, Elisabeth gd 11, Anna Barbara gd 6, Karolina gd 3, Anna Margaretha gd 1. Sewald, (Sd 16). 1798. Martin Rotgammel, h 33 from Rotgammel. Elisabeth Kessel, sp 53, deceased husband Johannes Shell. …... Katharina Shell, 21, her father Johannes Shell; her husband Valentin Sewald, 25; ,Lorenz gs 1. Seelmann, 1798. (Sm 07). Johann Sewald h 46 from Franzosen; Anna Margaretha Foss 37 from Franzosen; Karolus s 14 (my ancestor); Heinrich s 12; Johannes s 9; Valentin s 7; Mattias s 5; adopt. sohn Johann Nunngesser 23 from Sewald. Seewald /Sewald — one of the surnames in my family tree.